In this guest blog, Lancaster physiotherapist Michael Otto writes about the importance of having a good running technique to prevent re-injury following physiotherapy treatment. Working as a physiotherapist in Lancaster, with a special interest in rehabilitative physiotherapy for runners, I have found that offering running coaching following physio treatment vastly reduces the risk of re-injury. 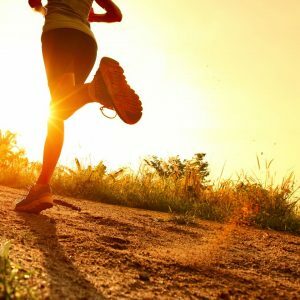 In my sports injury clinic I have found that one of the biggest underlying risk factors for a running injury is poor running technique. When someone has a poor running posture their body’s ability to absorb shock is reduced. I see many examples of incorrect running styles in my physio clinic in Lancaster. These include people presenting an excessively arched spine giving the runner a very upright military posture; runners leaning forward and leading from the chest; and joggers showing minimal movement in the pelvis and hips resulting in a stiff, almost robotic running style. All these different running styles can increase the risk of injuries commonly seen by sports physios. Once someone has developed a running injury seeing a physiotherapist, or preferentially a physio specialising in running such as Plym Physio, is really important and will help speed up the recovery of the injury. Physio treatment will also help to identify some of the underlying causes of the injury such as poor movement patterns and tension in other parts of the body. 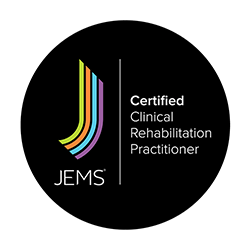 After seeing a physiotherapist who is sufficiently proficient in this area of treatment the injured runner should be not only back to where they were but also have a reduced risk of re-injury. Following successful physio treatment, ensuring that you have a good running technique will reduce the risk of re-injury. In my experience as a sports physio, the easiest way to improve running style is to learn to relax the abdomen and pelvis and prevent the chest from lifting up. This really helps people to achieve a nice fluid running style. Another thing to do is to think and feel ‘floppy feet’. Having relaxed feet means the ankles can do a great job of shock absorbing, preventing things like Achilles tendonitis and other lower limb injuries. Hope this will help with your running and help you to become injury free. Happy running!